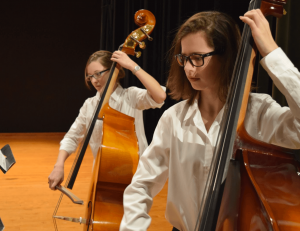 Under the direction and guidance of many supportive music educators over the past 44 years, Bay Youth Orchestras has developed into one of the largest youth orchestra programs in the country. Offering six levels of ensemble training to over 300 young musicians, BYOV gives students the opportunity to learn and perform the world’s greatest orchestral literature. 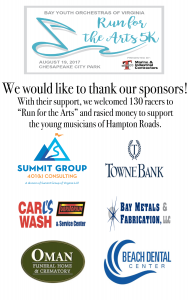 Bay Youth Orchestras of Virginia is a 501C(3) non-profit organization and receives funding from the Business Consortium for Arts Support of South Hampton Roads, the City of Chesapeake Fine Arts Commission, the City of Norfolk Arts and Humanities Commission, the City of Virginia Beach Arts and Humanities Commission, The Virginia Commission for the Arts, and the National Endowment for the Arts. 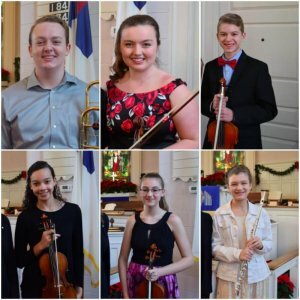 CONGRATULATIONS to the 2017 BYOV Concerto Competition winners! Also, one addition to our program today. We would like to recognize Brad Shedd, whose name was missing from the list of private teachers. We look forward to hearing our soloists with their orchestras at the Concerto Concert in March 2018. SEE WHAT WE’VE BEEN UP TO AT BYOV AND READ OUR NEWSLETTER, THE BYO-GRAPH. Want to perform with Hampton Roads’ premier youth orchestras? It begins with the audition process.